I feel like whenever I post a new smoothie recipe I always say it is my new favorite. Well, once again this has been a smoothie I have been drinking a lot of lately! It has 2 of my favorite ingredients in a smoothie, bananas and dates, but this smoothie also includes mint! Directions: Blend all ingredients in a high speed blender until smooth. I’ve really been enjoying this smoothie in the morning at breakfast with the mint flavor. 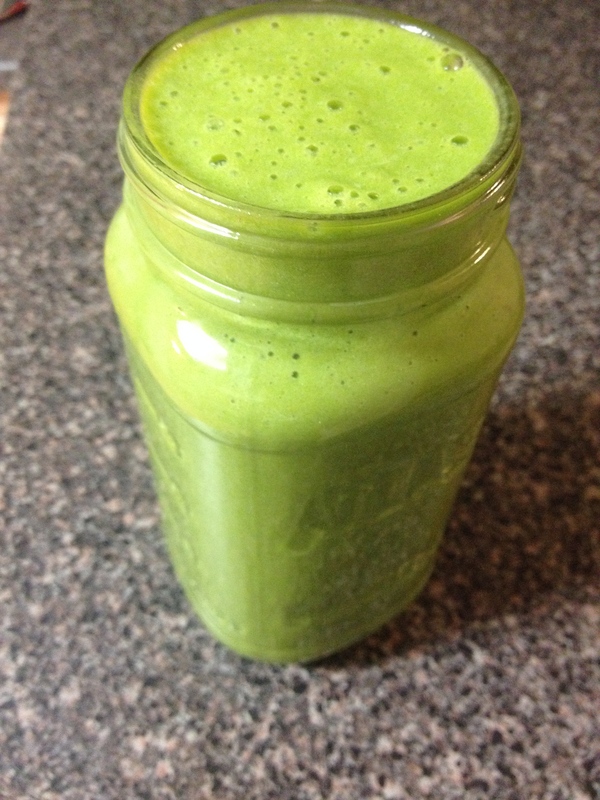 Unfortunately, with the green spinach and the brown carob powder, it is not the prettiest so I didn’t take a picture. I don’t ever eat cereal but I will pour almond milk over oats, I use quinoa as a grain with some fruit on top, or just plain cut up fruit in a bowl. Instead of adding regular almond milk (or any other kind of non-dairy milk) why not spice it up a bit with a different flavor of milk that you can easily make at home. 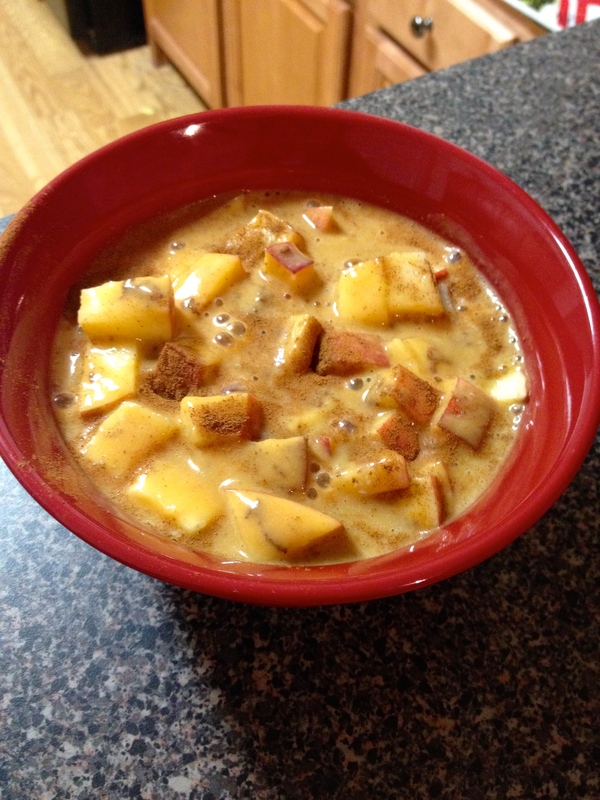 This recipe is perfect for this time of year! This is such a simple recipe and technically you can drink it right out of the blender like a smoothie. The original recipe suggests pouring it over cereal. But there is SO much you can do with this milk. Since I don’t eat cereal, I’ve poured it over granola that had raw oats and dried berries in it and I added a sliced banana to that and I loved it! Another thing you can do is add a handful of spinach to get some extra nutrients without affecting the taste of the pumpkin milk. Just know that your pumpkin milk won’t be as lovely a color which is why I didn’t add any for the pictures above. 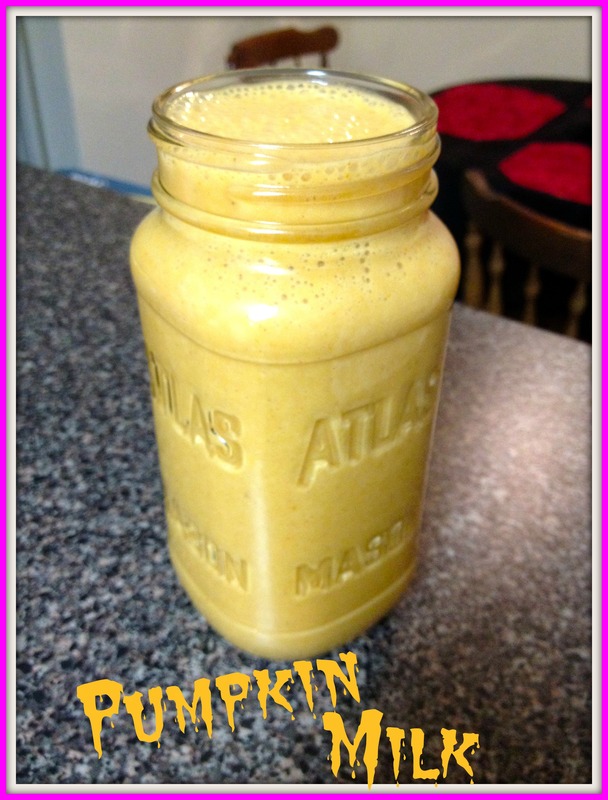 Can you think of any other ways to use this pumpkin milk? I haven’t posted in a while! Since it had been so hot at the end of the summer, the only foods I really wanted were fruits and smoothies. And I have been eating a ton of fruits and a ton of smoothies! Oh, and a TON of banana ice cream! (Try it with 1/2 tbsp of carob powder!) These were usually breakfasts and lunches. Dinners would be whatever my mom made and saved me to try. So I haven’t really done any cooking or baking myself. Most of my smoothies have been somewhat the same. All of them include bananas! Then sometimes I’ll also add an apple, an orange, strawberries, pineapples, peaches, or watermelon. Sometimes peanut or almond butter. I’ve also been including dates a lot! And usually all of my smoothies include a large handful of greens! If you can’t taste them, you might as well add in some extra nutrition! When I came across this recipe on the internet, I knew I had to make it! I mean, it includes ALL my recent favorite foods that I eat at least once a day – bananas, dates, and almond butter! 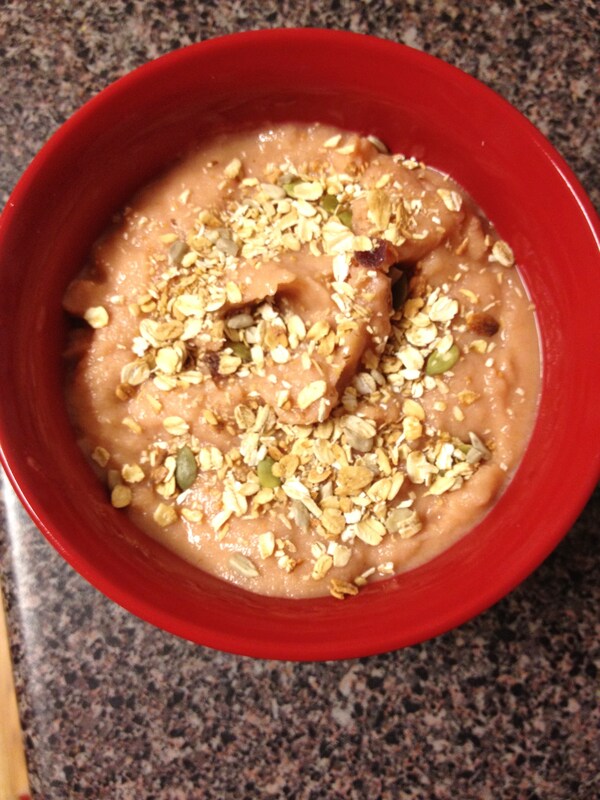 Directions: Combine all ingredients in a high-powered blender and blend until smooth and creamy. *Add more or less milk depending on how thick or thin you want your shake. I added the greens to mine, but unfortunately this will make it a less appealing brown color. (This is why there is no picture.) But just because the smoothie isn’t pretty, doesn’t mean it tastes bad. This shake is delicious! I also added maca powder to mine for an extra boost of energy! In the original smoothie, she uses peanut butter instead of almond butter (you can use any kind of nut butter you like) and she doesn’t blend it in but rather serves it on top. I like it blended in, but you can do whichever you prefer. 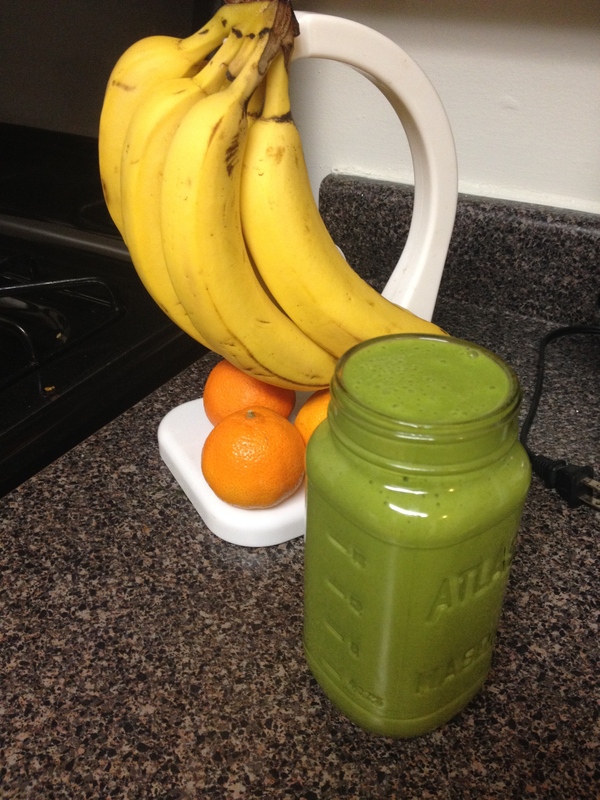 This smoothie is great for breakfast! It has tons of healthy ingredients to keep you full and satisfied. The only sugar comes from the natural sugars found in bananas and dates. That’s the good kinds of sugar that won’t cause you to crash in about an hour, but will keep your energy up all morning! I recently bought some dried figs and have been snacking on them. 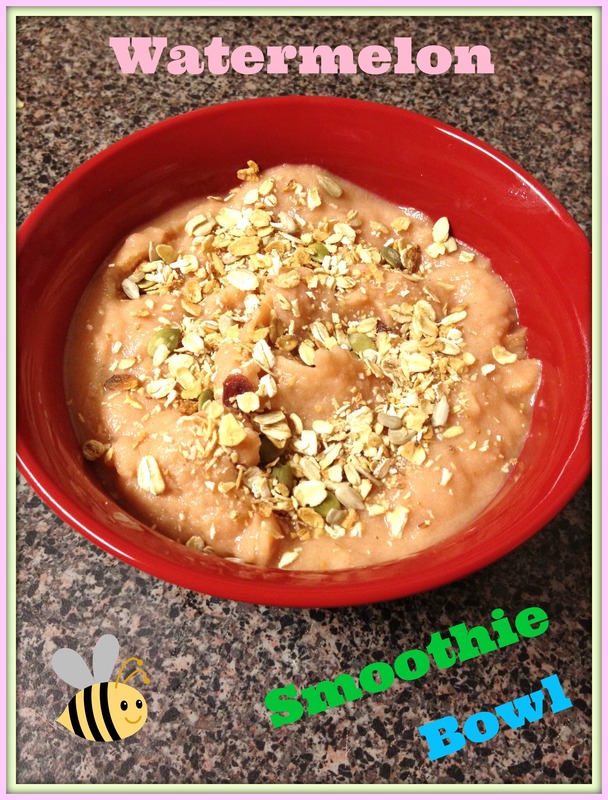 When I came across this smoothie recipe, it sounded like it would make a great sweet treat! If you don’t have vanilla protein powder, you can just use 1/2 tsp vanilla extract. If you don’t have maca powder, you can just omit this ingredient. 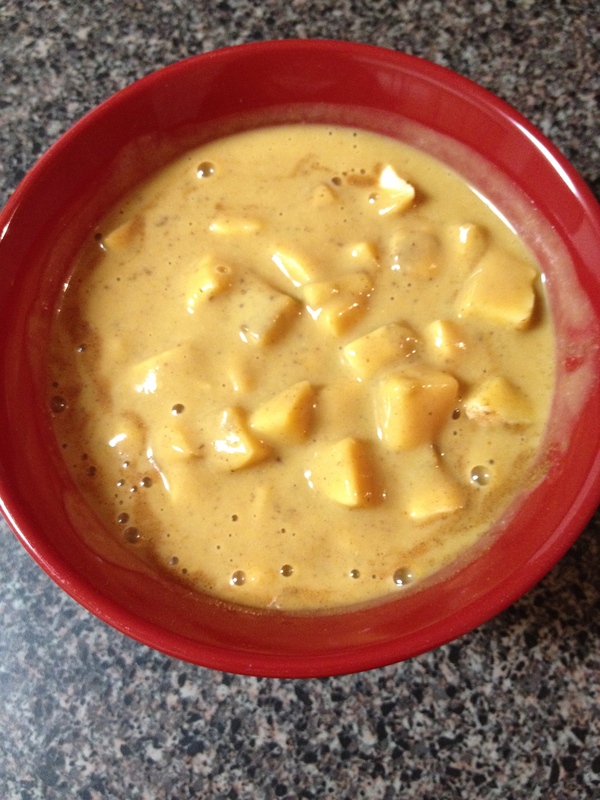 If you don’t have a high-speed blender, I recommend soaking the dates in warm water for about an hour first. 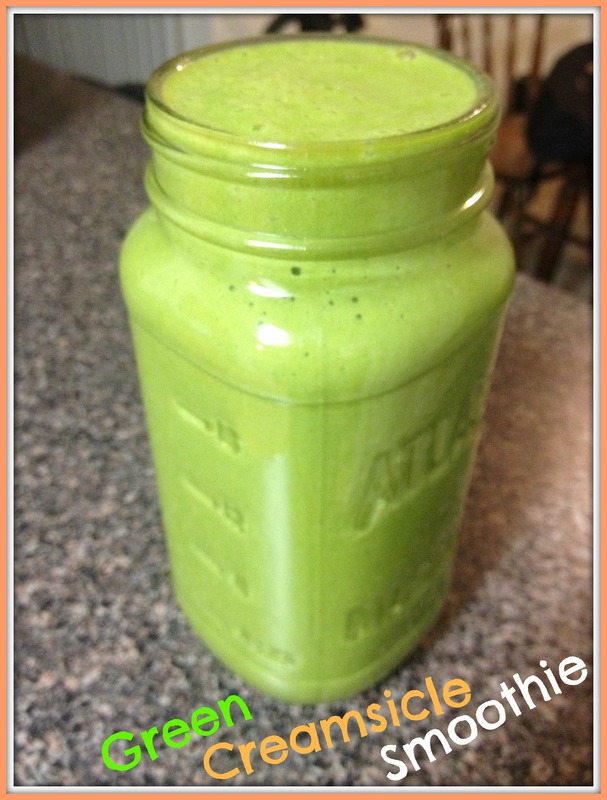 You can also add a handful of spinach or other greens and turn this into a green smoothie for some extra nutrition. This smoothie would be great for breakfast since the protein will keep you full and all the other ingredients will give you plenty of energy! Sorry, no picture yet! When I added the spinach, it wasn’t the prettiest looking, though it was still tasty! Next time I’ll take a picture before I add the spinach. I have been wanting to try this smoothie for a while. I never thought about adding frozen watermelon to my smoothies until I came across this recipe. Wow, I wish I had done this sooner! Frozen watermelon in smoothies is amazing! It adds a creamy coldness without the use of ice cubes. Perfect for these hot summer days! I used less almond milk to make a really thick smoothie so I could eat it like ice cream. I even topped my smoothie bowl with granola. This would also be great topped with hemp seeds, banana slices, nuts, etc.